Several Arlington startups have made an appearance on Deloitte’s top 500 fastest growing technology companies in 2018. The annual “Fast 500” list looks at companies developing everything from entertainment to biotech nationwide. Overall, the survey found that the fastest growing industry sector was software, accounting for 64 percent of the total tech company growth over the last year. On the list were four Arlington software companies: Distil Networks, Mobile Posse, Fonteva, and Higher Logic. The highest on the list was Distil Networks, ranked at number 131. Distil Networks is a bot mitigation network that scans incoming data to filter out “bad bot” traffic hiding among the human and “good bot” information streams. The aim is to protect websites from data mining, spam and fraud. Over the last year, the company saw 872 percent growth. The company is located in Ballston at 4501 N. Fairfax Drive. The next highest was Mobile Posse Inc. at number 237. 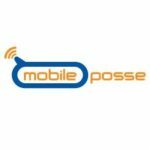 Mobile Posse develops non-intrusive advertising on mobile devices, which delivers messages to locked screens and home screens. The company works with major North American phone carriers like Verizon Wireless and AT&T. Jackson said one of the biggest events for the company over the last year was the launch of Firstly Mobile, a new platform that allows advertising content to be placed on the home screen and be accessible by swiping. The new product aimed at making advertising as “frictionless” as possible. Jackson said soon after launch, Mobile Posse topped 7 million active daily users. Overall, Deloitte said the company saw 387 percent growth over the last year. The company is located in Ballston at 1010 N. Glebe Road. 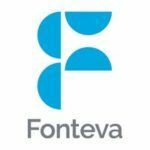 At 286th on the list is Fonteva, a company that sets up membership software for associations and organizations. Over the last year, Fonteva saw 291 percent growth. The company is located in Ballston at 4420 N. Fairfax Drive. Higher Logic, a cloud-based engagement platform, sits at 348 on the list. The company offers organizations new ways to set up online communities and automate marketing. The company, located in Rosslyn at 1919 N. Lynn Street, saw 228 percent growth over the last year.